Episode 9 of the Air Medical Today Podcast has been published. In this episode I interview Mr. Howard Ragsdale, President, and Mr. Christopher Eastlee, Managing Director, of the Air Medical Operators Association. There is also News & Information and an update on the Southwest Med Evac crash on February 5, 2010. Howard Ragsdale is the Vice President of Business Development at Air Methods Corporation located in Englewood, Colorado. Besides serving as the current President of the Air Medical Operators Association, he serves on the Board of Managers of The Center for Medical Transport Research and is the industry representative to the Board of Directors for the Commission on Accreditation of Medical Transport Systems. After attending Southeastern Christian College and Eastern Kentucky University, Howard joined the US Army in 1970 and remained on active duty until 1978. He is a commercial rated instrument pilot in both fixed and rotor-wing aircraft and has served in various positions in the air medical industry to include line pilot, Director of Operations and Business Development. Howard is known for his innovative leadership in both traditional and community based services and unwavering commitment to quality. He lives with his wife Terri, who is the EMS Manager for American Eurocopter, and is currently in transition from Phoenix, AZ to their new home in Parker, Colorado. Howard and Terri have a combined family of 4 grown children with 5 grandchildren. Christopher Eastlee is the Managing Director for the Air Medical Operators Association. His role is to help formulate policy on behalf of the members and provide association representation to various government agencies, the United States Congress, and other trade associations and policy groups. Previous to his current position, Chris served as the Government Relations Manager with the Association of Air Medical Services where he was the liaison to the Government Relations and Safety Committees. Through this service he became familiar with numerous issues, and spent much of his time on matters of aviation regulation and safety. Chris began his Government Relations work at the Gencarelli Group, the government relations firm representing, among others, the Association of Air Medical Services. He was involved with numerous subject areas, including healthcare, insurance, homeland security, and national defense. During this time, Chris also gained extensive experience working with both the House of Representatives and the Senate. Chris is a graduate of the International Studies School at DePaul University in Chicago, Illinois where he studied social and political issues from both a domestic and international perspective. He lives with his wife, Tara, in Alexandria, Virginia where they enjoy hiking, reading, music, and cooking together. Episode 8 of the Air Medical Today Podcast has been published. In this episode I interview Drs. Howard Werman and Cathy Janyes, the Medical Director and Director of Research for the new Center For Medical Transport Research. 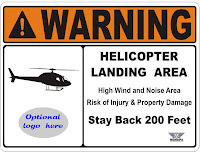 In the First Response section of the podcast I check in with Rex Alexander, the President Elect of the National EMS Pilots Association, on their new Helipad Safety Sign Program. There is also News & Information and more detailed information on the Southwest Med Evac crash on February 5, 2009. Dr. Howard Werman is a Professor in the College of Medicine at The Ohio State University as well as the Medical Director for the MedFlight program. His extensive experience as a board-certified emergency physician has expanded to directing and consulting national and international efforts to improve emergency medical systems. 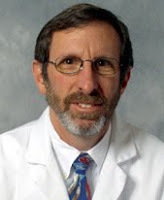 Dr. Werman has published extensively in the area of emergency care and critical care transport and in 2006 received the Barbara A. Hess Award from the Association for Air Medical Services in recognition of his significant contributions to the enhancement of the emergency medical industry through research and educational excellence. Dr. Werman completed his undergraduate studies at Duke University, medical school at the State University of New York at Buffalo, and his emergency medicine residency at The Ohio State University. 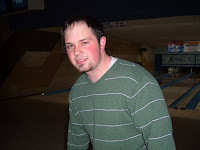 He lives in Bexley, Ohio with his wife and has three grown children. 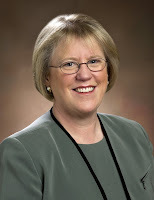 Dr. Cathy Jaynes is an Assistant Professor at the University of Colorado’s College of Nursing and brings years of experience in critical care transport leadership and flight nursing. Her doctoral studies focused on health services evaluation and research methods and her current research is focused on the provision of safe and effective critical care transport for rural underserved populations. Dr. Jaynes received her Bachelors in Nursing from California State University in Fresno, California, her Masters in Community Health Nursing and Ph.D. in Nursing in Healthcare Systems Evaluation & Research Methods from The Ohio State University. She lives in Denver and has two grown children. Mr. Rex Alexander has spent 34 years in aviation with 24 of those years in helicopters and 16 years in the air medical industry. Rex serves as the Regional Operations Manager for the Central United States for Omniflight Helicopters and is the President Elect of the National EMS Pilots Association, or NEMSPA. He is an Army veteran of 11 years. Rex is also the Past President of the Indiana AAMS Chapter and is a member of the Helicopter Association International Heliport Committee. He has a consulting firm called RJ Alexander Consulting, LLC where he provides consulting for heliport design and safety. Episode 7 of the Air Medical Today Podcast has been published. In this episode I interview Tom Judge, Jason Schwebach, and Lisa Tofil, the President, Vice President, and Executive Director of the new Association of Critical Care Transport (ACCT), formerly the Patient First Air-Ambulance Alliance (PFAA). I also provide general News & Information and the initial report on the Southwest Medevac crash in New Mexico. Please go to the podcast Show Notes for links to the stories. Tom Judge serves as the Executive Director of LifeFlight of Maine, a non-profit hospital consortium based helicopter critical care system, serving the entire state of Maine. In addition he serves as the Executive Director of the LifeFlight Foundation, a non-profit charitable organization that funds aviation infrastructure and outreach education services to hospital and EMS providers in Maine. Tom is a practicing paramedic where he has served for over 30 years with the St. George Volunteer Fire Ambulance. Tom brings a thirty year background in pre-hospital emergency medical services in roles from provider to system planner/regulator. He is the former Board Chair of Maine EMS, the State Regulatory and Licensing Agency. He currently serves on the Board of the MedEvac Foundation International as Treasurer and is a past President of the Association of Air Medical Services. Tom also serves on the Joint Helicopter Safety Implementation Team, one of two work groups of the International Helicopter Safety Team. He is a member of the Air Medial Safety Advisory Council and is a 2003 Jim Charlson Award recipient. Tom is an active professional member of the National Association of EMS Physicians, a faculty member of the National Medical Directors Course and Practicum, and serves on the Editorial Board of the Emergency Medicine Journal. He is a graduate of Beloit College in Beloit, Wisconsin in English and received his paramedic training at Kennebec Valley Technical College. Tom lives with his wife Susan in Port Clyde, Maine and is serving as the President of ACCT. Jason Schwebach is currently the Assistant Vice President for Carolinas Healthcare System’s - MedCenter Air transport service. He has 17 years experience in Air Ambulance transport and previously worked as the Director for the air ambulance department of Providence Medical Center in Anchorage, Alaska. 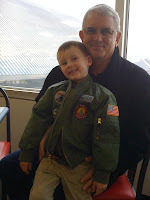 Jason served 8 years as a Medevac pilot and healthcare administrator in the US Army, and for 7 years as a Combat Search and Rescue Pilot in the United States Air Force; including an assignment with the Alaska Air National Guard as a Senior Rescue Controller. He is the immediate past president of the North Carolina Air-ambulance Affiliation, and was the recipient of the 2008 AAMS Program Director of the Year Award. Jason holds a Bachelors degree in Biology from the University of Rio Grande, and a Masters degree in Business & Healthcare Management from the University of LaVerne. He is also a Certified Medical Transport Executive. He lives Live in Charlotte, North Carolina with his wife, and 2 children ages, 7 & 10. Lisa Tofil is a Partner in the Holland and Knight Public Policy and Regulation Group. Her practice is focused on federal relations and policy in health care, emergency medical services, and transportation issues. She represents a number of health care organizations including trauma centers, hospitals and health systems, clinical laboratories, and air medical transport programs. Lisa possesses an in−depth knowledge of the Medicaid and Medicare programs and in developing innovative opportunities to enhance state and federal funding for health care providers. She spent several years on Capitol Hill as a health care legislative assistant to Senator John Chafee (Republican−Rhode Island) and served on the staff of the House Education and Labor Subcommittee on Labor Management. Lisa also worked as the Government Relations Representative for Northwestern Memorial Hospital and as the Vice President for Government Relations at Carolinas Healthcare System. In addition to the new association where she serves as Executive Director, she represents the Trauma Center Association of America, Advocates for EMS, the Safety Net Hospitals for Pharmaceutical Access Association, the Florida Hospital Association, the Clinical Laboratory Management Association, and a variety of health systems and medical groups. Lisa received her Bachelors of Arts degree from the University of Vermont and her law degree from the Kent College of Law in Chicago, Illinois. She lives in Northern Virginia with her husband, 3 kids, 2 dogs. She also has 1 horse. Episode 9 of the Birkie Web Today Podcast has been published. In this episode I interview Louis Muench, Vice President of the Cumberland Area Ski Touring Association, about his experience skiing in the inaugural BirkieTour. I also check in with fellow Birkie Buddies, Tim Burke and Mike Tarnow, who participated in the Noquemanon Ski Marathon in Marquette, Michigan this past Saturday in the On The Trail section of the podcast. Louis Muench lives in Cumberland, Wisconsin where he works at Louie's Finer Meats owned by his family. He is the Vice President of the Cumberland Area Ski Touring Association, which maintains the Timberland Hills Ski Trails. Louis is responsible for updating trail conditions on the club’s website and their Facebook page. In 2001 Louis completed the Kortelopet, but was first signed up for the race in 2000 which was the year it was canceled. In 2002 he completed his first Birkie and has participated each year ever since. Louis also participates in a number of other ski events each year including the Pre-Birkie and Book Across the Bay races. As part of our On the Trail section of the podcast we will either be literally out on the Birkie Trail or on the scene for interviews. Today I check in with my fellow Birkie Buddies, Tim Burke and Mike Tarnow, who participated in the Noquemanon Ski Marathon this past Saturday, January 30th in Marquette, Michigan. Tim (left) and Mike (right) have skied the Noque, as it is called, three times since the race began several years ago. This year Tim completed the 25K Freestyle event and Mike the 25K Classic race where he placed 4th overall for his age group.